(North American departure for Russia on November 8th) Register by May 4 and receive a $200 discount! Gesundheit! Institute Global Outreach is pleased to invite you to join 35th Annual Russia Clown Tour with Patch Adams. This two-week adventure will take you to Moscow and St. Petersburg to clown in hospitals, orphanages, nursing homes, and everywhere else we go. No experience required! This amazing trip is filled with participants from all walks of life. Our clown family will assemble from many corners of the globe, across generations and with all levels of experience to explore and exchange healing, playfulness, love, performance, community, and culture. We are excited that you are considering joining us! Our arrival is eagerly awaited by a host of Russian friends who love and care for us as family. Many of our local friends and volunteers are connected to the clown tour through Maria’s Children, a Moscow based organization serving orphans and children with special needs through art and advocacy. 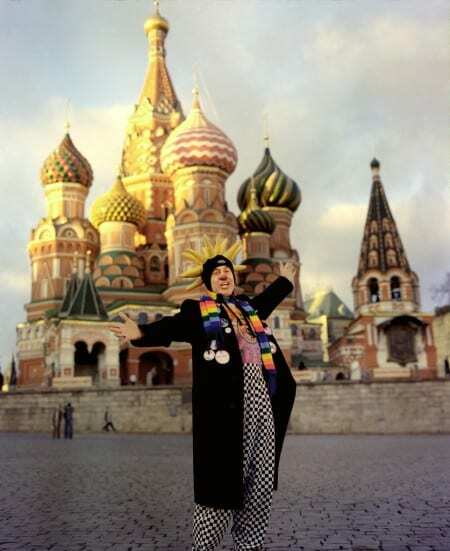 The Maria’s Children community has been part of the Russia Clown Tour for more than 20 years and is a fundamental part of the tour experience. The daily itinerary is made by our Russia team. In addition to clowning in different types of institutions, we will have many clowning opportunities on the streets, in restaurants and everywhere we go in Russia. There will be some site seeing and cultural opportunities, some free time, and special dinner parties and events in the evenings. We usually travel everywhere together on a bus, occasionally, however, we will take taxis or travel by metro. !Please be Aware! This trip is an extremely active trip with a very full schedule that can include lots of walking and stairs, long bus rides, infrequent bathroom stops, late meals, and late-night travel. The ability to accommodate special food requirements will be limited to either meat or no meat. Some meals might be entirely vegetarian. We have a NO-WHINING policy. 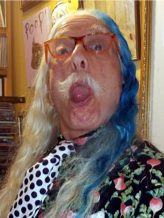 Patch Adams – entered medical school in 1967 to use medicine as a vehicle for social change; promotes and practices living a life of public joy as a revolutionary act; a fount of ideas for avoiding burn-out in long-term social justice and health. Enthusiator. Sharon “Shar-Shar” Stein – started volunteering in 1996, has traveled to 54 countries…so far. She met Patch 23 years ago, and put her first red nose on and has laughed ever since! Chris Chanter – known Patch since 1974 when they met whilst traveling in Morocco. They also had the good fortune to visit Russia, at that time. Close friends ever since, Chris finally succumbed to letting her goofball personality put on a red nose and join Patch in clowning. Accommodation in 3 or 4-star hotels (with a roommate), Meals (except for 1 dinner), Transfer to and from the airport, Transportation by tour bus, Transportation from Moscow to St. Petersburg, and Visa support (letter of invitation and voucher needed to obtain a visa) for $2,400.00*. Also included is a ticket to THE MARIA’S CHILDREN GALA FUNDRAISER in Moscow! Register by May 4 and receive a $200 discount! Optional: Additional $1000.00 for a Single room without a roommate. Tour Package Doesn’t Include: International and Domestic Airfare (about $800-$1200 from the USA), Visa and Visa Processing (about $200 depending on country), and The Russia Tour does not have scholarships available for participation. Please allow 3 months for VISA processing! Traveling from the USA? Plan to leave on November 2nd to arrive in Russia on the 3rd. Space on this trip is limited. Total Cost is $2400.00. Register by May 4 and receive a $200 discount! We register participants on a first come first serve basis and the trip is known to fill up quickly. Download and Read 2019 Russia Information Packet. Fill out the Electronic Registration Form & be prepared to please pay your $750 non-refundable deposit, and agree to the international release form at the bottom of the page. Questions? Contact us with questions or concerns.